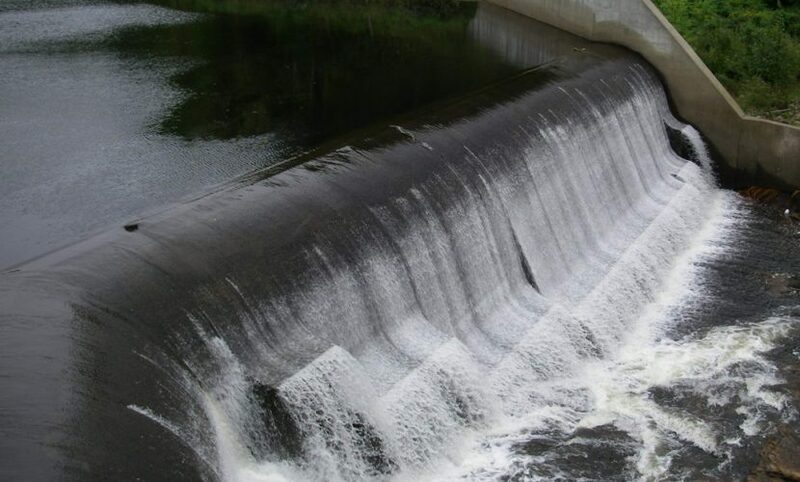 The Saint-Paulin facility consists of a run-of-the-river hydroelectric power generating facility with a total installed capacity of 8 MW and an expected annual production of electricity is 41,072 MWh. It is located in the municipality of Saint-Paulin, approximately 20 km north of Louiseville, Québec on the Rivière-du-Loup. It obtains its water from the Rivière-du-Loup, which has its source in the Mastigouche Reserve, north of Saint-Paulin. It benefits from a total drainage area of 1,372 square kilometres. The intake is constructed on the west bank of the river, in a concrete structure equipped with trash racks. The powerhouse, which contains a double-runner horizontal Francis turbine, is architecturally designed to blend with its environment. The plant is fully automated and may be operated locally or remotely. The Saint-Paulin Facility is connected to the Hydro-Québec grid through a short overhead line at 25 kV. The site where the Saint-Paulin facility is located is locally known as the Chute à Magnan. It is named after Augustin Magnan, who was the first person to harness the falls for the operation of a saw and flour mill. This breathtakingly beautiful site is one of the four highest waterfalls in Québec. Today, the surrounding park is operated in association with the Auberge le Baluchon in Saint-Paulin. As part of a project with Le Baluchon, Innergex undertook a number of improvements to the site to maximize recreational potential and facilitate public access. These include two pedestrian footbridges, one at the head of the falls and the other 500 metres downstream. A system of footpaths was constructed on both banks to access the bridges and there are a number of lookouts over the falls.